Located in Himachal Pradesh, the Himalayan Jewel. 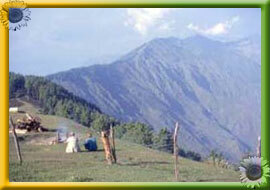 Kullu was once known as Kulanthpitha-'the end of the habitatable world'. Beyond rise the forbidding heights of the Greater Himalaya, and by the banks of the shining river Beas, lies the fabled 'Silver Valley'. 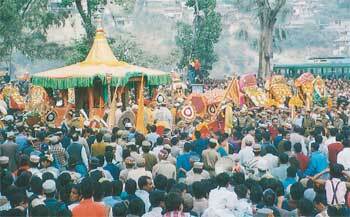 The town of Kullu is famous for its colourful Dussehra festival. 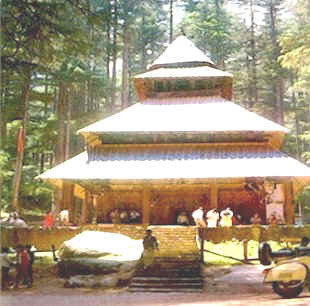 Decorated palanquins and processions convey gods and goddesses from temples all over the valley to Kullu, to pay homage to the reigning deity, Raghunathji. A mela springs up during the festival which is celebrated with a great deal of singing, dancing and festivity. of the aborigines. The people of Kullu believe in simple living and perseverance. 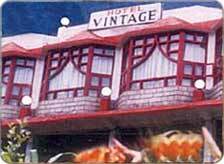 The fairs and festivals celebrated in the valley are an indispensable part of the native ethos. These vibrant fairs carry great religious and economic importance for the people here. The people of Kullu are primarily farmers, but now the population has also scattered into emerging occupations as tourism, handloom industry and other skillful fields like computer applications. More than 70% of the people here are literate. This includes an equal ratio of men and women. Govt. sector is one of the most favoured source of employment. 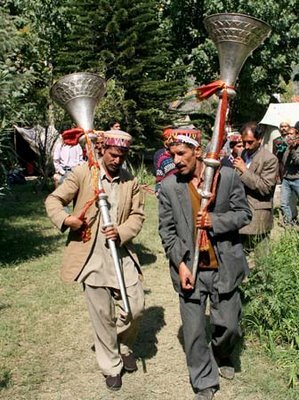 There is a rich tradition of folk arts in Kullu. The excellent temple carvings, vibrant handicrafts , spectacular folk dances and melodious songs show the sensitivity of the people. The exquisitely build temples, castles, and forts are the monuments of an advanced form of architecture and sculpture that flourished in the valley in past. 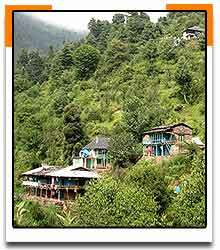 Malana, a remote village, situated at a height of 2520 m, is believed to be one of the oldest existing Republics. The villagers strictly follow their ancient beliefs, culture, customs and religion. 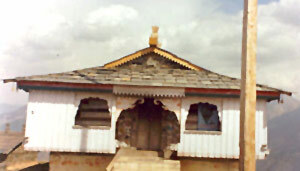 Jamlu devta (chief deity of the village) governs the administration, judiciary and politics of the village through the 'gur' (the deity's spokesperson). 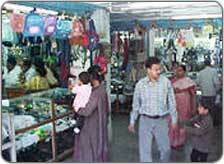 amazing range of beautiful handloom and handicraft products in Kullu. The traditional brilliant colours of the Handlooms probably manifest people's zest for life and creation. The famous Kullu Shawls are admired for their elegant look. Kullu Caps are widely worn by the local people and are also equally popular among tourists. Warm local Tweeds, Pattus, Muflars etc. are the other handloom products largely produced in Kullu. 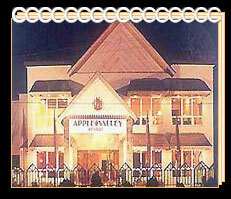 February to mid March) that marks the beginning of fairs and festivals in the valley. These fairs and festivals are mostly held to celebrate the victory of good over the evil or recall any episode related to the deities. They celebrate the rich cultural and traditional inheritance of the people, which they have been maintaining since epochs. (1433 m)16kms. away from Kulu, the sight is ideal for spending a quiet holiday and for holding youth camps. There are a large number of orchards in this part of the valley. HPTDC has log cabins for comfortable stay. Address : Village Mohal, On National Highway - 21, Distt. Kullu, Himachal Pradesh, India. Accessibility : 6 km from Airport, 6 km from Bus Stand. 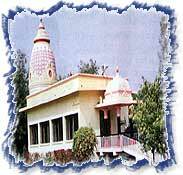 Address : Gandhi Nagar, Kulu, Himachal Pradesh, India. Accessibility : 8 kms. from Airport; 1km. from Bus Stand.